Weybridge station is a short drive away from the main Weybridge High Street. The main bus stops on the High Street opposite the Ship Hotel and further along outside the library on Church Street. 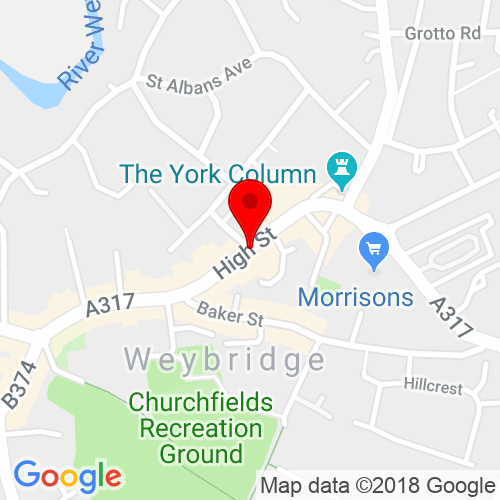 Weybridge offers car parks near the salon location in both Baker Street car park and Churchfield Road, both within a short walk to the salon. Click here to see the current price list for Rush Weybridge. Located in the quaint town of Weybridge, this town has a real village feel and community sprite to it, perfect for those who love the village life. Amongst boutique shops and local delis at 22 High Street, Weybridge, KT13 8AB where you will find Rush Weybridge. With a team of dedicated and highly skilled stylists, Rush Weybridge is a beautiful salon and the perfect stopping point for a little you time or to simply add the wow factor to your seasonal style. 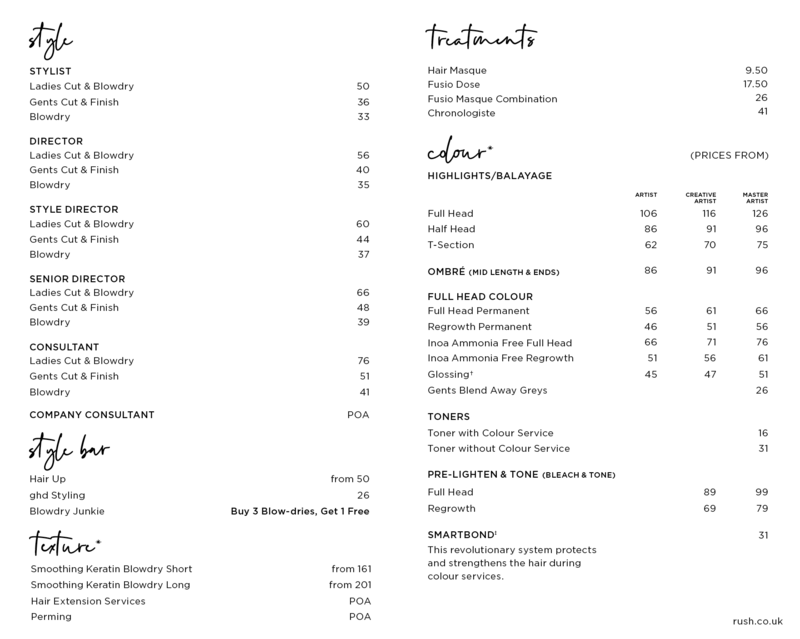 Debra Freeman is the owner of Rush Weybridge and has years of experience in the Hair and Beauty industry, its safe to say you are in safe hands. To ensure your salon visit is one to remember, you’ll be treated to an indulgent head massage in our relaxing spa area, have a choice of fabulous refreshments and receive a personal style diagnosis, that will leave you feeling pampered. Enjoy your new look for longer with our extensive retail range such as Kérastase, L’Oreal and Redken, as your Rush Stylist will take the time to get to know your hair, and provide you with the best after care programme to ensure your locks look and feel fabulous in between salon visits. Why not pop in and meet the team today. Rush Weybridge’s 50% Off Colour Day is Tuesday. Really love my colour, thanks for helping me choose through all those colours. Would not go anywhere else, love my hairdresser and trust her with my hair! By far the most enjoyable experience I have ever had in a hair salon. They were all lovely and understood exactly what i wanted.